This reading group guide for The Madwoman Upstairs includes an introduction, discussion questions, ideas for enhancing your book club, and a Q&A with author Catherine Lowell. The suggested questions are intended to help your reading group find new and interesting angles and topics for your discussion. We hope that these ideas will enrich your conversation and increase your enjoyment of the book. As the last living descendant of the Brontës, Samantha Whipple is accustomed to the stares, rumors, and questions that come with being a member of one of the most discussed literary families of all time. She grows up studying the novels of her long-lost relatives under the tutelage of her notoriously eccentric father, whose death when Samantha is a teenager mysteriously mirrors events that occur in both the Brontës’ novels and their lives. At twenty, Samantha enrolls at Oxford University, where she takes up residence in an isolated tower and begins finding a series of Brontë novels left on her doorstep, each one encrypted with obtuse notes from her late father. Upon further study, Samantha realizes that the clues in the books point to valuable objects from the long-rumored Brontë estate. Against her better judgment—and the rules of Oxford—Samantha enlists the aid of her inscrutable yet undeniably handsome professor to find the true nature of her inheritance. Along the way she realizes she must decide for herself what truth truly lies in fiction. 1. “He was great in the ways that only dead fathers can ever truly be great” (18). Describe Samantha’s relationship with her father, both in life and in death. In what ways does Samantha idealize her father? How does her perception of him change as she learns more and more about his life and his past through the course of the novel? How does Samantha’s unresolved grief impact her relationships and actions during her time at Oxford? 2. How do Samantha’s memories of her father differ from her mother’s and Rebecca’s recollections of his life and character? Which woman’s depiction do you think is closest to reality, and why? 3. “Questioning the reliability of a narrator was an attempt to prove that every novel written—every verb, every comma—existed solely for the sake of subversion” (73). Although Samantha hates the question of whether or not a narrator is unreliable, when we read fiction it is a question that often deepens our understanding as readers and forces us to ask critical questions about memory and truth in the narrative. In your reading of the novel, did you find Samantha to be a reliable narrator? Discuss key moments when you trusted her account, and key moments when you suspected that the real story diverged from her telling. 4. “My lack of literary talent was more a tragedy than a disappointment. The real problem was this: my father was in the grave, and I could do nothing to write him out of it” (56). How does Samantha’s failure as a writer impact her feelings toward women writers, particularly the Brontës? Do you think that Samantha would have gone to Oxford and felt the drive to search for her inheritance in her father’s posthumous scavenger hunt if she had been able to reach a sense of closure about him through her writing? 5. How does Samantha’s father leave clues for her about his true identity and her inheritance even while he is alive? Why is it so important for Samantha’s father to reveal his inheritance to her in the cryptic way that he does? believes that the text represents an emotional truth—that the inspiration for events depicted in a novel come from the author’s imagination and feelings—while Samantha believes that the text represents a literal truth— that the inspiration for events depicted in a novel come from the author’s actual experiences. Whose perspective do you agree with, and why? 7. Speaking about the character of Bertha in Charlotte Brontë’s novel Jane Eyre, Orville tells Samantha, “You view ‘madness’ as wild and violent; I view it as the logical reaction to wild and violent conditions” (225). Based on this conversation and your interpretation, what does “madness” mean in the purview of the novel? Do you believe that the so-called madwoman in Jane Eyre is truly insane when she sets fire to the curtains, or do you believe that, as Samantha’s bookmarks from her father read, in the words of Emily Dickinson, “much madness is divinest sense”? 8. How does her time at Oxford change Samantha? Do you think that Samantha becomes “the madwoman upstairs” of the book’s title? 9. Sir John Booker bases his writings and career around the idea that by examining the objects of the Brontës’ everyday life and creations in other media, the reader can “find a true portrait of three of our most enigmatic authors, one that helps us unlock the riches inside their most cryptic novels” (118). What value do you see in this argument? Have you ever tried to analyze the work of an author, musician, or filmmaker in this way? Do you think we should judge a piece of writing by an author’s life or motives, or do you think that a novel should be a self-contained piece of art that gets diminished when considering too many extraneous facts and biographical information? 10. How and why do Samantha’s feelings toward the Brontës shift throughout the course of the novel? (“I looked at those books and finally understood what it must feel like to be part of a loving, dysfunctional family, the kind everyone else seemed to have,” she says on page 219.) How much of this change is due to Samantha’s relationship with Orville? Why isn’t Samantha able to have this sort of relationship with the Brontës while her father is still alive? 11. Were you surprised when the true nature of Samantha’s inheritance revealed itself? How does the search for her inheritance change Samantha? 12. By the end of the novel, do you think Samantha has reached a sense of peace about her father’s death? 1. Read a Brontë novel of your book club’s choice—select from Jane Eyre, Wuthering Heights, or The Tenant of Wildfell Hall. What similarities and differences do you find between the novel and The Madwoman Upstairs? If you decide to read Jane Eyre, discuss Samantha’s theory that Charlotte essentially stole Anne’s experiences and turned them into her most famous work. 2. Watch a Jane Eyre movie adaptation of your book club’s choice. See if you agree with Samantha’s negative assessment of Hollywood reenactments of Brontë novels: “An unknown actress would play Jane, and she was usually prettier than she should have been. A very handsome, very brooding, very ‘ooh-la-la’ man would play Mr. Rochester, and Judi Dench would play everyone else” (87). Where did you come up with the idea to write a contemporary novel based on the mystery of the rumored Brontë estate? There’s a great quote by Ralph Waldo Emerson that I really love—he said, “There is creative reading as well as creative writing.” The possibilities of creative reading have always intrigued me, particularly when it comes to old, famous, and heavily analyzed texts. I was especially curious to see what new discoveries could emerge from an unorthodox reading of the Brontë novels. Where is the line between reading creatively and just being ridiculous? Or is there still a grain of truth in even the most ridiculous ideas? I became very interested in the idea of a lost Brontë estate—did the Brontës just leave us with their novels or is there something else hidden within those books that is available only to an experimental reader? Which Brontë novel is your favorite? Which novel influenced this book the most? The Tenant of Wildfell Hall, though not my favorite, was a big influence on the book. Its narration is messy and awkward (most of the book, for one thing, is a letter), to the point where it’s unclear whether Helen’s voice is actually Helen’s—Gilbert is the one who transcribes her diary and tells her story. In that sense, Helen reminded me of Anne Brontë, another woman whose voice we rarely hear directly. This book, more than any other, made me wonder what Anne Brontë was really like—and what was really going on behind the scenes at the Parsonage! How did your time at Oxford influence the writing of this novel? Does a tower like the one Samantha lives in actually exist (and if so, did you ever live there)? My time at Oxford did influence the novel—but not for the obvious reasons! I was having an awful bout of insomnia at the time, and the initial jetlag upon arriving in England didn’t help. I remember one freezing evening, I had been awake for nearly forty-six hours. I still couldn’t fall asleep, so I figured I might as well just get up and write a book. At the beginning of the novel, Samantha states that she despises women writers—do you feel the same way? If not, which female writers do you most admire and why? I love early women writers! They were incredibly brave. Since many of them saw enormous success in their lifetimes, it’s easy to forget that women like Charlotte Brontë, George Eliot, Frances Burney, and George Sand made huge sacrifices to practice their craft. Remaining true to yourself despite enormous pressure is a skill that will never go out of style, regardless of when you live. That said, it was much more interesting to explore the psyche of someone who resents her ancestry rather than someone who adores it. What sort of duty do we owe to the people who gave us independence? Is Samantha wasting the freedom her ancestors fought for? Like many forms of hatred, Samantha’s resentment stems from her own insecurity. As far as my favorite woman writer goes—I would really love to grab a beer with Aphra Behn. Do you have a favorite Brontë sibling? Do you hope that your book will bring some new attention to Anne and her work? I love Emily. She seemed so delightfully odd. If we put her in one of those standardized test questions—“which one of these is not like the others?”—I think she’d win each time, regardless of the topic. What I admire most about her is that despite having very limited worldly experience, her one novel showed the depth and breadth of someone who has seen everything. It’s encouraging to think that you that you don’t necessarily need wildly exciting life experiences to arrive at some universal truth—the greatest insights can often come from carefully observing mundane things. I really do hope people start paying more attention to Anne! Her two novels are so different– in Agnes Grey, you get the sense that Anne is deliberately holding herself back, perhaps out of concern for her novel’s reception. But in The Tenant of Wildfell Hall, she’s somehow developed into a fiery activist. You can really get a sense of her development between those two books. It’s easy to think of the Brontë sisters as indomitable pillars of strength, and forget that they were also human beings, fraught with the same insecurities that everyone has felt at some point. Anne is the sister who always made me remember that the Brontës were relatable people—sometimes underdogs, sometimes heroes. Where do you stand on the argument between Samantha and Orville over how a text should be interpreted? Regarding the debate between “literal truth” and “emotional truth,” I think the salient part of the relationship is the uncanny way in which the latter can lead to the former. The empathy we feel for make-believe characters feels real in our bodies, as if those characters were in fact long-lost friends. Fiction remains one of the only ways we can viscerally experience things that never happened to us. If I were to weigh in on the debate over authorial intent, I’d have to give the somewhat dissatisfying “find a happy middle ground” answer. Too much concern with external information runs the risk of limiting a book’s scope, but books are so inextricably linked to history that to disregard the context in which they were written is often to waste an opportunity to better understand both the text and the era. The Odyssey is a great book regardless of any outside knowledge of Ancient Greece—but to understand its impact on Greece is to also understand how one story helped shape an entire civilization. What about the Brontës do you think has helped their work to stand the test of time? Most of the Brontë protagonists aged extremely well. They are still the kind of people we all want to be: confident, whip-smart, self-reliant, and able to be happy despite all the odds. The plots themselves have taken a page from Cinderella—almost all of them tell the story of underdogs, and everyone loves an underdog. Then, of course, there’s the picturesque drama of the Brontë’s lives and the courage with which they lived—both of which still inspire readers today. What are you working on next? Do you think you’ll ever return to Oxford as a setting, or the Brontës as a topic? The next book tackles one of my other favorite subjects, World War II. Stay tuned! 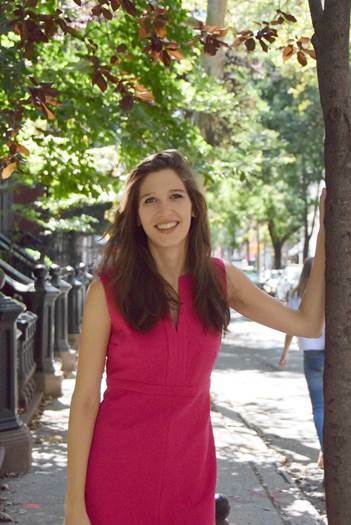 Catherine Lowell received her BA in English from Stanford University, and currently lives in New York City. The Madwoman Upstairs is her first novel. 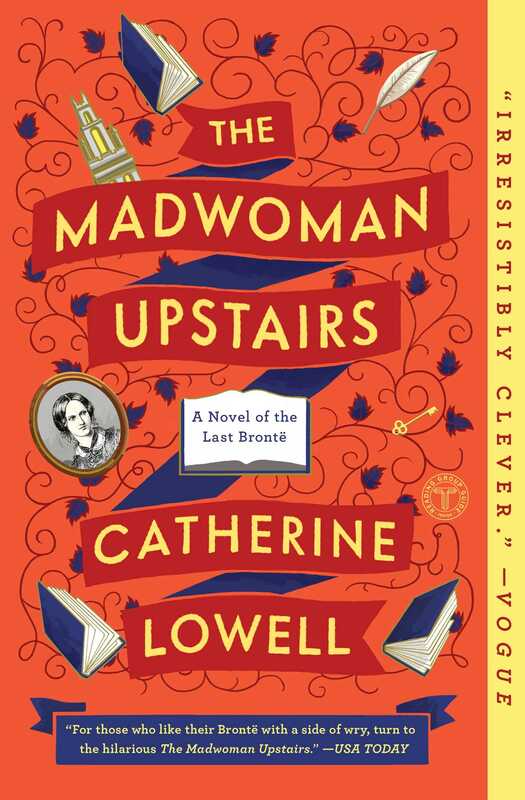 "An enigmatic father’s legacy sets the scene for gothic intrigue involving the last descendant of the Bronte sisters in Catherine Lowell’s irresistibly clever, Oxford debut, The Madwoman Upstairs." “An engaging literary mystery filled with juicy speculation about the life of the Brontës—a delightful reminder that how we read fiction matters."